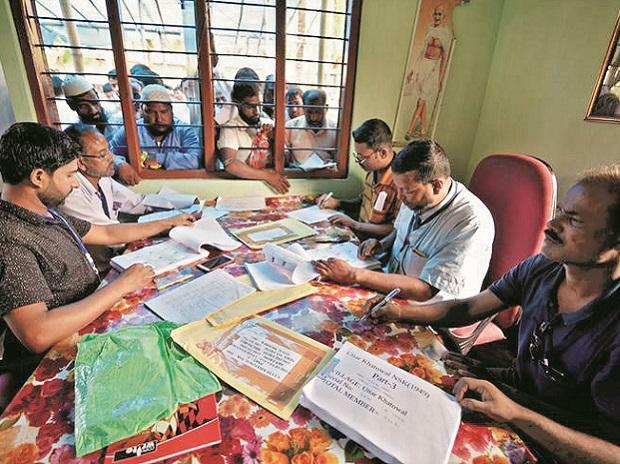 Coming down heavily on Ministry of Home Affairs (MHA), the Supreme Court on Tuesday said that the ministry was “hell bent” on not allowing National Register of Citizens (NRC) in Assam to continue as it came up with excuses from time to time in order to delay the process. A two judge bench led by Chief Justice of India (CJI) Ranjan Gogoi, while refusing to extend the deadline beyond July 31 for publishing the final NRC list said that Centre was not cooperating in the NRC process. “It seems the entire effort of the MHA is to destroy the NRC process,” CJI Gogoi said. The top court was hearing a plea moved by the central government seeking to stop the work on NRC for two weeks in view of the general elections. In its plea before the top court, Centre said asked the process to be stopped for two weeks as some companies of Central Armed Police Force, currently involved in NRC duty, could be needed for upcoming general elections duty. The Supreme Court, however, refused to entertain the plea. It also asked the Election Commission to consider exempting some state government officials from election duty to ensure that NRC process continues. The consideration by the poll panel, the court said, should be done keeping in mind that the final list had to be published by July 31. The draft NRC for Assam was published on July 30, 2018 in which the names of 2.89 crore of the 3.29 crore people were included. The names of 4,070,707 people did not figure in the list. Of these, 3,759,630 names have been rejected and the remaining 248,077 are on hold.